The British Parliament voted against the Brexit agreement. What does this mean when shipping to or from the UK? At this moment, the opinions of the various parties within the British Parliament are too far apart. However, a majority has spoken out against a No Deal scenario and against a hard border with Ireland. However, nothing is certain. 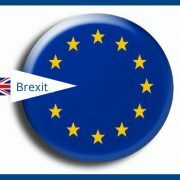 As long as there is no majority vote and no deal is concluded before March 29th, the United Kingdom will leave the EU and all trade agreements will expire. This will result in difficult customs procedures, higher costs, import duties and delays at the border. The most favorable Brexit scenario is a timely deal between the EU and the British. In this case, a trade agreement can be concluded and new rules and procedures for imports and exports to the UK are issued. All eyes are now on Prime Minister May; she will try to renegotiate in Brussels. Whatever the outcome will be, March 29th is approaching steadily and things will definitely change, that much is certain. An EORI number is required in order to customs clear cargo, upon entry or exit. Provided your company has a valid VAT number, you can apply for an EORI number with the tax authorities, customs division. With the VAT reverse charges rule, VAT doesn’t need to be paid immediately upon entry, but instead is deferred until your periodic tax return. This rule requires a special permit, the so named “Article 23”, which can be requested from the tax authorities, customs division. If you engage in trade with the UK, special licences may be required. We would advise you to find out whether or not you will need any licenses and if so, apply for them. A Binding Tariff Indication can be requested from customs, for a specific product. This way there is never any question of which is the correct HS code, and which import duties (if any) apply. The British pound is very unstable and it does not seem likely that this will change in the short term. The exchange rate could potentially change between the time of invoicing and time of payment payment. There are various options for hedging currency risks, please contact your bank. Upon entry or exit, customs declarations will need to be made. Embassy Freight can provide you with the export clearance or import clearance, provided we are handling your shipment. Of course we are always at your service for advice.